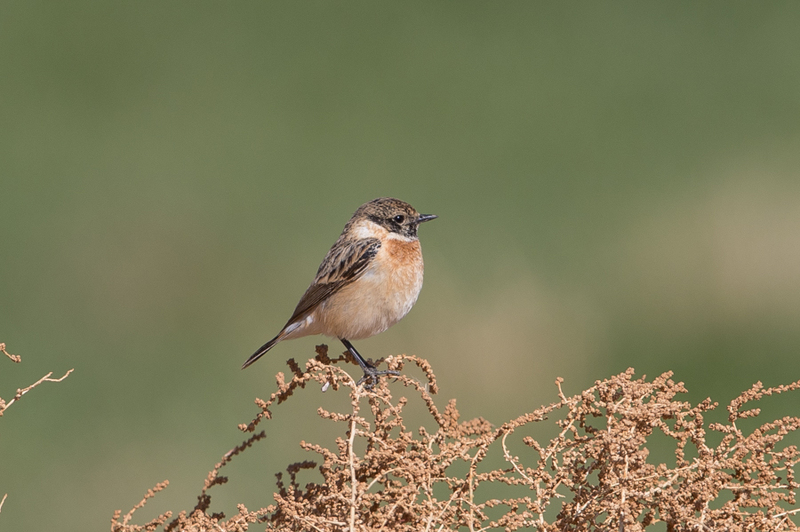 Whilst birding the Tabuk area I came across a few Western Siberian Stonechat. The birds were looked at closely and there did not appear to be any white extending down the tail feathers. The rump was also unstreaked. 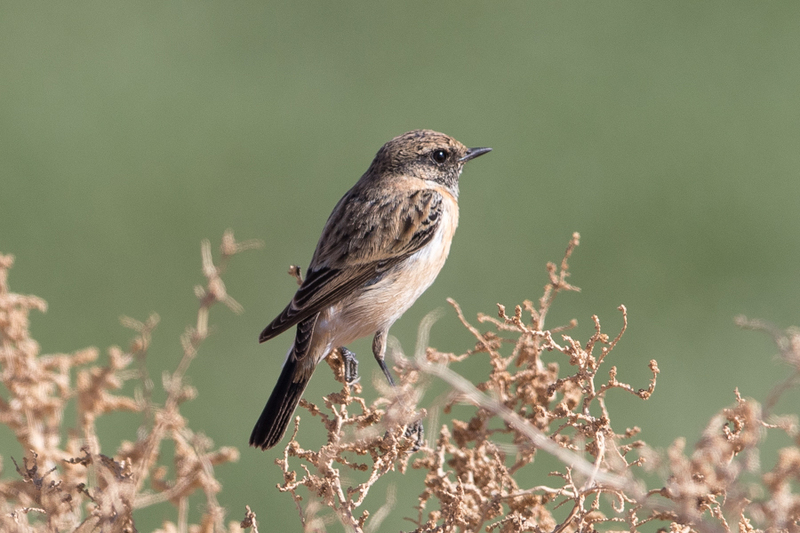 They were almost always seen in tall scrub at the side of large pivot irrigation fields. 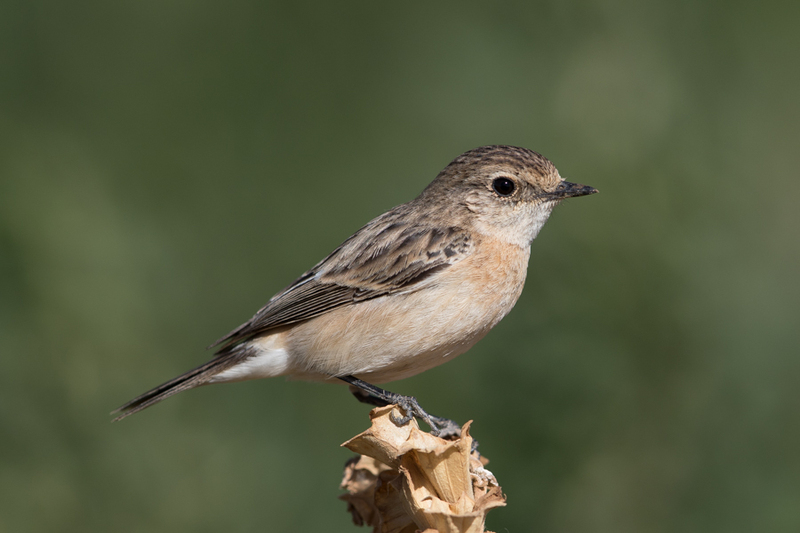 The species in an uncommon wintering species throughout the north and east of the Kingdom with numbers varying each year. Sometimes they are seen regularly but in other years only a handful are recorded.